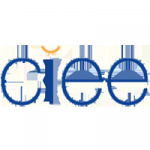 CIEE is a non-profit, non-governmental organization providing both outbound international education experiences and career opportunities for people of all ages with programs available in Beijing, Shanghai, Nanjing and Taiwan. CIEE is a non-profit, non-governmental organization. Our mission is one shared by many in international education: "to help people gain understanding, acquire knowledge, and develop skills for living in a globally interdependent and culturally diverse world." To fulfill that mission, CIEE provides both outbound international education experiences for university students, faculty, and administrators, and study, work, and internship opportunities for people coming into the U.S.
CIEE offers many different educational and career opportunities for people of all ages, whether they want to go abroad for work or just to study. Different programs are available in Beijing, Shanghai, Nanjing and Taiwan.